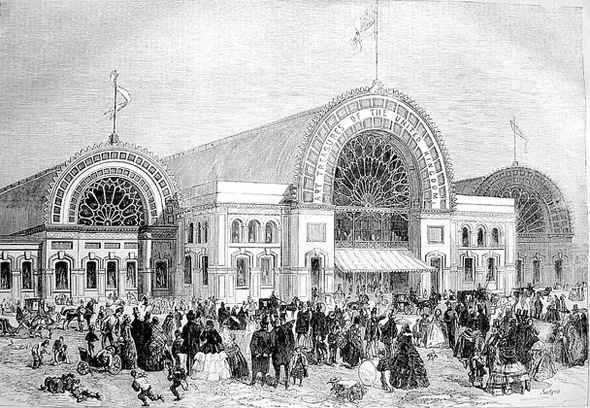 A temporary exhibition structure built to hold the ‘Art Treasures of Great Britain” from 5 May to 17 October 1857. 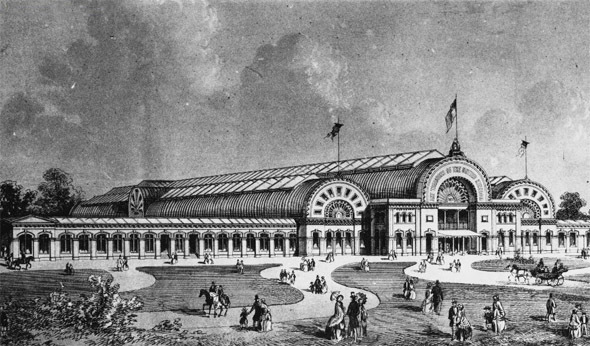 The idea for an exhibition in Manchester was first expressed in a letter sent on 10 February 1856 by John Connellan Deane, son of Irish architect Sir Thomas Deane and a commissioner for the 1853 Dublin Exhibition, to Thomas Fairbairn son of Manchester iron founder Sir William Fairbairn and a commissioner for the 1851 Great Exhibition. The building was 656 feet long and 200 feet wide, with one central barrel vault 56 feet wide with a 24 feet wide hip vault on either side, all crossed by a 104 feet transept towards the western end. The design of the main structure has been attributed to Francis Fowke, with the ornamental brick entrance at the eastern end was designed by local architect Edward Salomons. 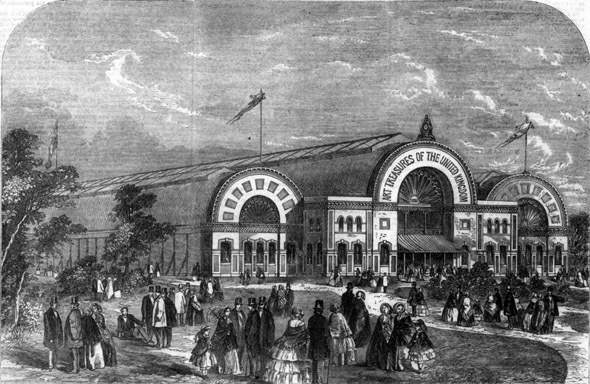 The building was entirely demolished by November 1858, with the site becoming part of Manchester Botanical Gardens, and is now the site of a retail park.